The spray sealant with hydrophobic properties! GYEON WetCoat is a unique spray sealant that applies easily and leaves your vehicle with a hydrophobic layer of protection. This revolutionary formula takes only minutes to apply and leaves paint shiny and able to repel dirt and water for up to 12 weeks. 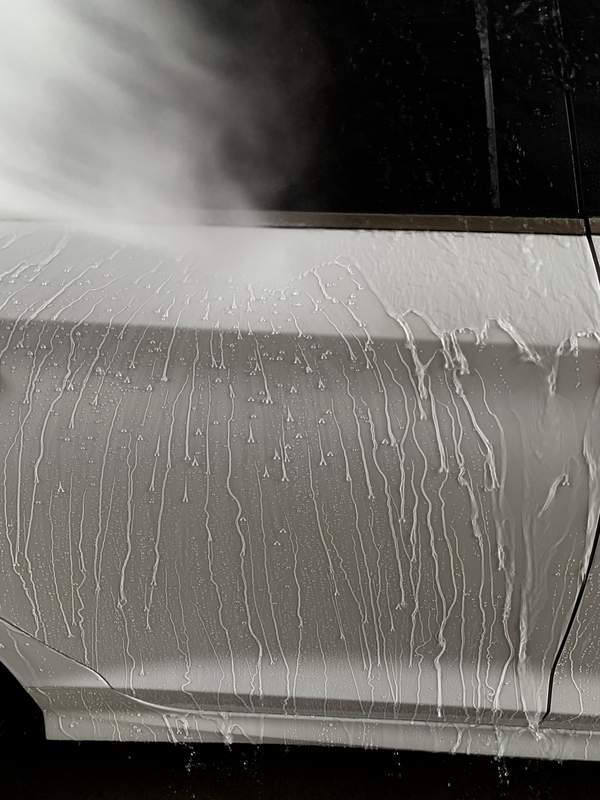 GYEON WetCoat is perfect for increasing gloss and longevity on vehicles previously treated with an SiO2 coating, and for those without a coating at all, the self-cleaning effect will reduce the number of routine washes necessary! If you love water beading, you’ll love GYEON WetCoat! This easy to use formula delivers incredible water beading in a fraction of the time that it would take to apply a coating. If your vehicle is already coated, though, you’ll appreciate the added hydrophobic layer that will increase gloss and prolong the life of the coating. GYEON WetCoat is unique in that it is safe to use on almost every exterior surface of your vehicle. Use it on paintwork, plastic, metal trim, rims, and even glass! A few quick sprays followed by a rinse are all it takes to create a super shiny, hydrophobic surface on your vehicle! Awesome product! Crazy water beading. Wish it came in a bit bigger bottle for the amount it costs but other than that it's awesome. Super easy to apply and remove. Seems to last about 8 weeks. It wonâ€™t keep your wheels from getting dirty, but it does make them very easy to clean. Most of the time a strong stream of water will clean them. If a brush is needed, itâ€™s a very light scrubbing. Iâ€™d say this works as well as optimum sealant but is easier to apply. It will cost more than the optimum product but is super easy to apply. Iâ€™m battling Porsche brake dust if thatâ€™s any indication of my â€œissuesâ€. Wet coat has blown me away since getting my opening GYEON order, while the application is similar to hydro 2 I personally think it beads tighter. I used it on a windshield the other day with phenomenal results as well, the customer was happier with the wet coat than he was with the previous windshield coating I did, which took alot longer with more effort. Another great product by GYEON!